Looking for a simple, yet fun party game to play at a kid's birthday bash? There’s no reason why the classic carnival game of ring toss can’t be played right at home. The ring toss rules are easy enough that guests of all ages can play and they can even be adapted to play any version that suits your party theme. To play the classic carnival version of soda bottle ring toss, you will need several glass bottles of soda pop (at least 24, but more if your guest list is long), a low table, and four hard plastic rings that are wide enough in diameter to fit around the neck of the bottles. 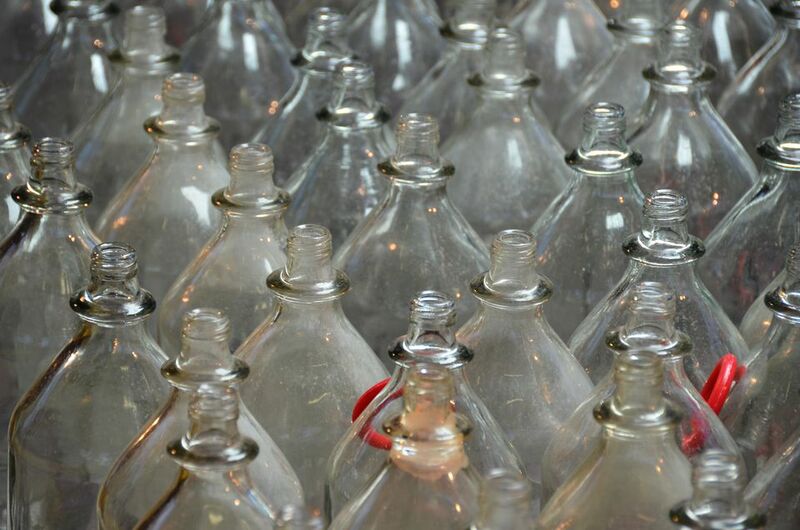 Since you are playing with kids, you may want to use an alternative bottle material to prevent any broken glass. Place the soda bottles on the table, packing them close together. Have the players stand at a designated spot at least four feet away from the table. It's helpful to mark the spot on the ground with tape (or another marker), so it's even for everyone. Feel free to extend or reduce the distance based on the ages and abilities of your party guests. One at a time, have them take turns trying to throw the four rings so that they land around the necks of the bottles. If a player lands a ring on the neck of a bottle, they get to keep that bottle of soda pop. In the traditional game, winners get to claim the bottles of soda pop they "ring" as their prize. If you don't want to give out sugary soda as your game prizes, you can also play this game with empty bottles and award any kind of trinket prizes to the winners. Some ideas for trinket prizes include stickers, small rubber balls, key chains, glow sticks, play jewelry, and bubble gum or small pieces of candy. You could also give away a classic carnival prize; a goldfish, but please check with parents before giving these to kids. You'll probably have extra soda or trinket prizes when the game is over. Be sure to give one to each of the kids who weren't able to get a ring around a bottle. If you're throwing your party outdoors at night, try playing a glow-in-the-dark version of the classic game of ring toss. To play a game of ring toss that suits your party theme, use empty soda pop or water bottles. Paint them to match the colors of your party or decorate them to resemble something from your theme. For instance, if you are throwing a princess party, you can paint the bottles pink and use crowns as the rings to toss. If you are playing ring toss as one of your luau party games, you can paint the bottles to look like tiki totems. An alternative to painting the bottles is to fill them with colored sand. As another party activity, have the kids decorate the bottles and then line them up for the game. Each kid will get to bring home their decorated bottle as a prize.